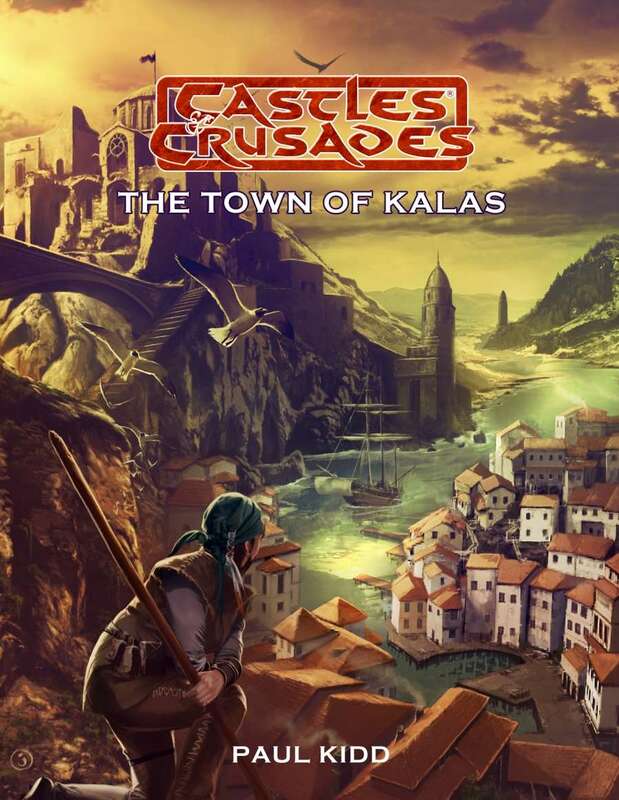 Sitting on the banks of the Ganda river estuary, the town of Kalas has a population of some 8,000 souls. The Town sees a great deal of business pass in through its gates; river barges coming down from the lakes, seagoing merchant vessels and privateers, as well as caravans coming in from the Ust-Aan steppes. The town serves as a trading centre, a rest stop, and as a place to refit vessels, caravans and parties of adventurers. In Kalas dusky islanders, and ebony visitors from the Dark Continent mingle with steppe men, pale blonde barbarians from the north, and the swarthy, warm-eyed locals. Grass elves, their skins painted brown and green – grey elves from the forest, even sea elves from the shore bargain in the bazaar with Ebony dwarves from the desert, pale Dwarves from the north, leaf gnomes, marsh Halflings and the dark skinned Halfling wanderers from far distant veldts.